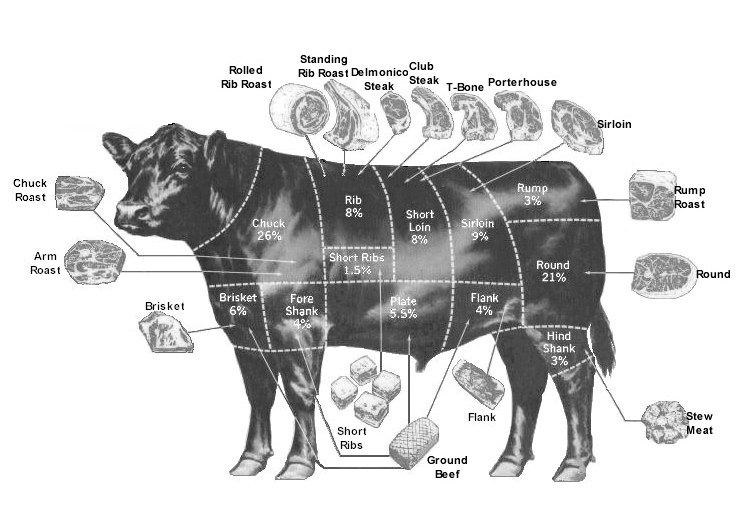 Angus beef chart. Courtesy of the American Angus Association. One cow can yield a certain amount of meat depending on its size and weight, and every cut of meat is located in a different part of the animal – ground beef from the flank, stew meat from the hind shank, filet mignon from the sirloin, and even gelatin from the bones. Ideally, not one piece of cow will have to go to waste. While designing and producing our products, we work with the same principle: one tree provides wood for one series of objects. Recently we’ve picked and bought our first piece of tree and at the moment we’re developing the first set of products. We’ll literally brand each batch to add value, just like editions of printed books. Right now, we focus on two types of products: a series of combs and a series of posters, all with the annual rings laid bare by sand blasting, as a starting point. We estimate to have them ready and for sale here on New Window by the end of January. At the start of February, we will show them at the Object Rotterdam design fair, where you can have a chance to see them in real.